Take a relaxing horse trail ride through one of the most beautiful and largest urban parks in the USA. At a size of 4,500 acres this area covers more than five times the area of Central Park in New York City. While riding the horse trails with your trail guide, you'll have the opportunity to see deer, ducks, cranes and other wildlife. The horses are well-trained and can handle riders with all levels of experience. Choose from morning or afternoon departures. After arriving at the stables and filling out the necessary paperwork, you'll be matched up with a horse based on your height, weight and level of experience. 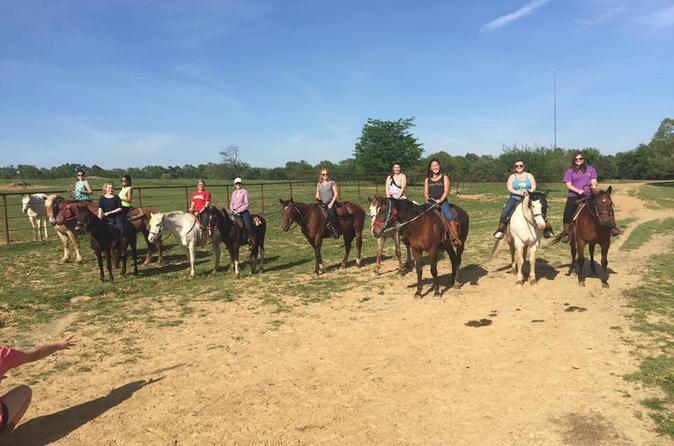 Your trail guide will teach you the basics of riding a horse, then you'll begin your 1-hour long trail ride adventure where you are bound to see amazing wildlife and nature. There is an abundance of wildlife in the park that you may have the opportunity to see including deer, ducks, cranes, and raccoons. You explore one of the most beautiful and largest urban parks in the USA. At a size of 4,500 acres this area covers more than five times the area of Central Park in New York City.